The CW has released a first look photo of Ruby Rose suited up as Batwoman, who will first appear in the annual DC superhero crossover event, titled Elseworlds, as well as the Batwoman series that is currently in development from producer Greg Berlanti. Elseworlds, the annual Arrowverse crossover, will take place in Gotham City. The crossover will start with The Flash on Sunday, December 9. Arrow will continue the story on Monday, December 10, before it all comes to an end in Supergirl on Tuesday, December 11. DC’s Legends of Tomorrow is sitting out of this year’s event, and Black Lightning has yet to establish any firm links with the Arrowverse. 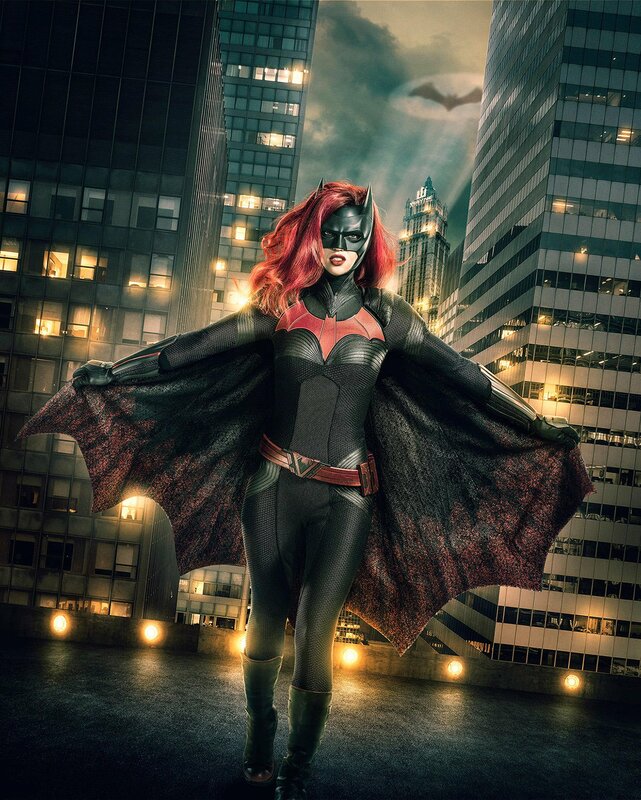 In the CW’s Batwoman, written by Caroline Dries based on the DC characters, armed with a passion for social justice and a flair for speaking her mind, Kate Kane (Rose) soars onto the streets of Gotham as Batwoman, an out lesbian and highly trained street fighter primed to snuff out the failing city’s criminal resurgence. But don’t call her hero yet. In a city desperate for a savior, Kate must overcome her own demons before embracing the call to be Gotham’s symbol of hope. The potential Batwoman series helms from Berlanti Productions in association with Warner Bros. Television. Dries will executive produce alongside Berlanti and Sarah Schechter. Former DC Entertainment president Geoff Johns is set to executive produce through his new Mad Ghost Productions banner. Batwoman, aka Kate Kane, is one of several vigilantes who protect Gotham. The character was first introduced in Detective Comics in 1956 and was reimagined for DC Comics’ New 52 as a Jewish lesbian. Kane is a wealthy heiress who becomes inspired by Batman and chooses to also put her wealth and resources towards a campaign to fight crime as a masked vigilante in her home of Gotham City. Arrow and The Flash have both teased that Gotham City did exist in the Arrow-verse, such as when Amell’s Oliver Queen name-dropped Bruce Wayne during this season of Arrow. The next CW crossover event is set to air in December 2018. If the Batwoman pilot is picked up, the series could air in 2019.